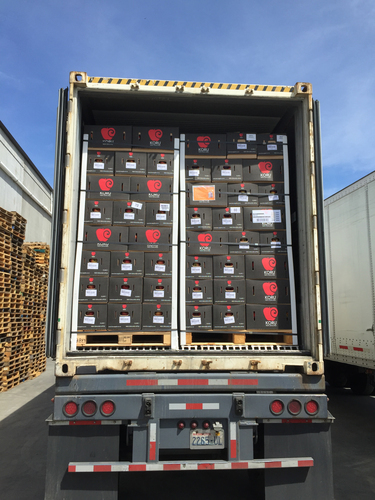 Our 2015 Crop Koru Apples have Arrived from New Zealand! 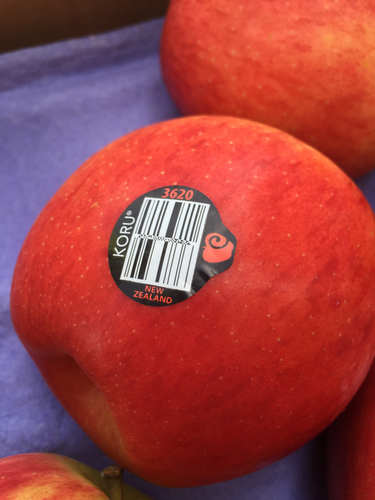 The 2015 Koru® Apple New Zealand import season begins at Borton Fruit next week following the Memorial Day weekend. Available beginning Tuesday May 26th, the Koru® apples from New Zealand are packed in Class 1 Export grade, 18 kilo Box (39.68 lbs). Koru® Sizing: 60ct, 70ct, 80ct, 90ct, 100ct, 110ct. The bell-curve of the volumes will peak in the 70ct & 80ct sizes. The Koru® apple is a great eating apple that stores exceptionally well for great sell-through. More impressively is how this apple always seems to have a crisp texture that crunches down to the core along with an outstanding flavor. Koru® apples were discovered by Man, not created by Man. Origins of the Koru® stem from a tree fruit grower in New Zealand who discovered a chance-seedling apple tree growing out of his garden; where apple cores had been discarded to provide nutrients for the neighboring plants. When Man gives to nature, she gives back. If you haven’t already tried one, make sure to try your first Koru® this season! Contact your Borton Sales Representative today for more information.